This entry was posted in Uncategorized on November 19, 2013 by taramcvicar. Live in an apartment? Don’t have the space for a herb garden? Maybe you are a micro gardener. Micro Gardening is a movement dedicated to gardening in small spaces using inventive containers. Bloomtubes joins the movement with its solution for growing herbs. Grow a micro garden right on your fridge. It is possible to plant and grow herbs in bloomtubes. Fresh cut herbs such as Basil kept only in water in a bloomtube have managed to root and thrive! 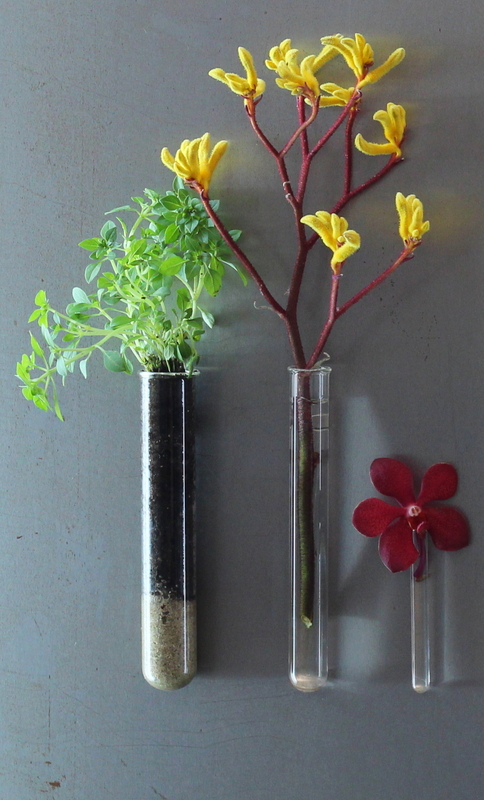 Experiment with growing herbs from seeds, propagating plants and hydroponic gardening with your bloomtubes. Then share it with us! Vote for Bloomtubes as a semi finalist!